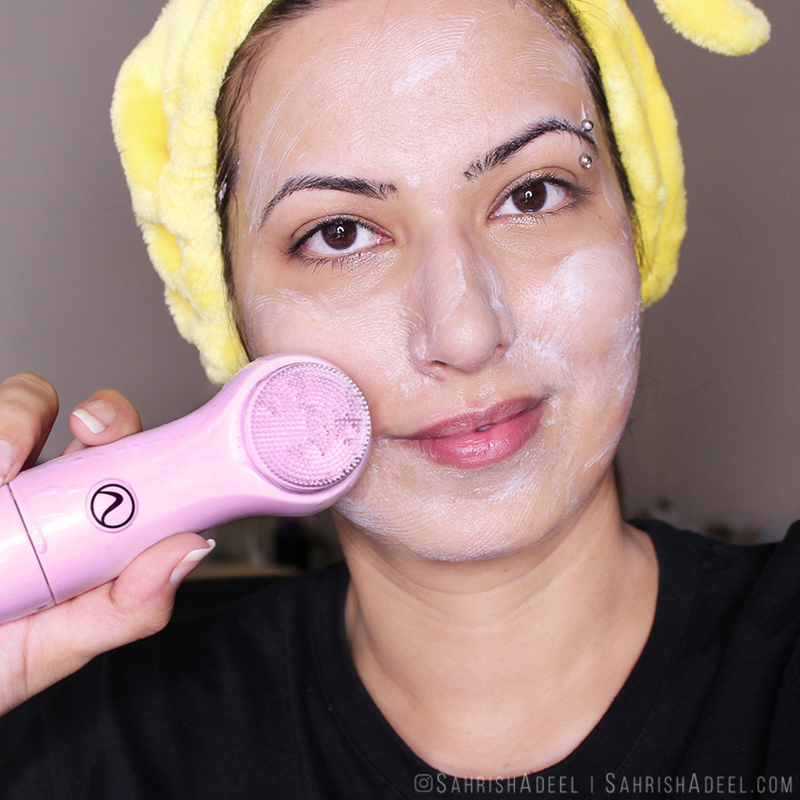 Opus Express & Opus 2Go by Nion Beauty - Review & Discount Code | Sahrish Adeel - Malaysia based Pakistani Beauty & Lifestyle Blogger! I am really excited about today's post because I have not one but two facial cleansing brushes to review. 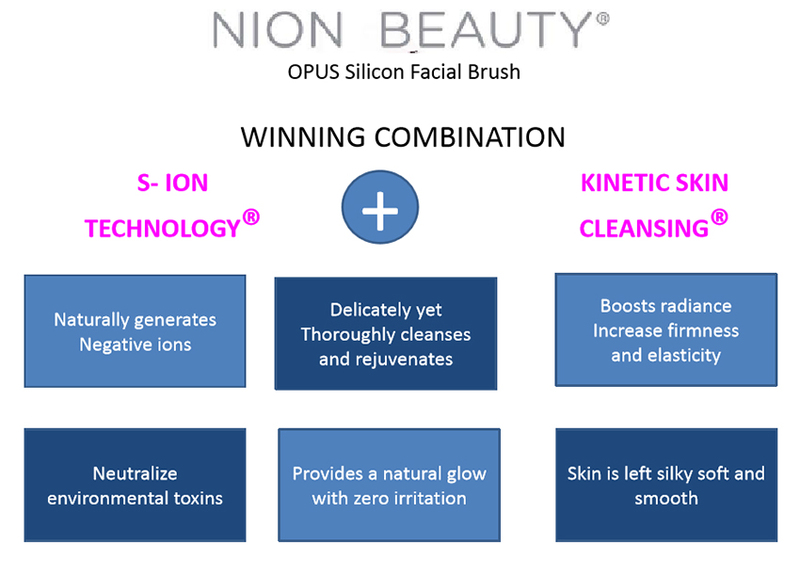 Featuring Opus Express & Opus 2Go by Nion Beauty, silicone facial cleansing brushes with s-ion technology. Let's dive right into the reviews. NION BEAUTY is providing skin care cleansing device in USA based company developed by the team of from USA & Korea which combining Japan cutting –edge technology. NION BEAUTY Cleansing Device comes with Kinectic Skin Cleansing and S-ION Technology which make our brand more different with others brands. Our Kinetic Skin Cleansing System uses vibrational energy to delicately break-up and whisks away impurities. It is using a gentle vibration mechanism to remove dirt, pollutants, impurities without stripping the face of its moisture. S-ION Technology is referring to a mix of rubber silicone and tourmaline which can generate negative ions to benefit our skin. Negative ions work like tiny magnets that attach to positive charged environmental toxins (dirt) on the skin, creating a heavier element which gets rinsed away easily. Offering unrivaled value and a whole host of innovative features, the Opus Express is this year’s must-have cleansing face brush. Ideal for those looking to explore the potential of S-ion Technology ®, it makes a great gift for a loved one and a fantastic treat for yourself. ● 3-Speed Kinetic Skin Cleansing® Vibration. ● S-ion Technology® silicone tip. ● Safe to use in the shower. ● Operates on 2 AA batteries (not included). Our Kinetic Skin Cleansing® System uses gentle vibrations, instead of relying on harsh and abrasive friction, to remove dirt and break up impurities without stripping your skin of the essential oils that protect against aging, dryness, and infection. When I received Nion Beauty's Opus Express along with their Opus 2Go mini brush, I was thrilled to try both of them and I am glad I got the opportunity to do so. Here are my thoughts on both of them. Opus 2Go comes in 3 colors and I got the one in the off-white shade. This comes with a preinstalled battery that can work up to one month. I could not find any possible way to change the battery and to be honest, I would have loved the feature because even though it is tiny it works like a charm. This travel size brush does not work exactly like the full-sized ones and is not too comfy to hold on everyday basis BUT it is so tiny, it can fit anywhere in a travel bag and I absolutely love it for that. Even though it isn't something that I will use every day or will take on longer trips but for an overnight trip, I am sure it will be in my travel bag. This was my first ever silicone face brush and to be completely honest, I was sure that it is not going to work for me. I have always used the facial brushes with synthetic bristles and they do work pretty good to cleanse and also exfoliate the skin but you can sometimes go a little over the limit and very easily hurt your skin by over-exfoliation. Here is where Opus Express won!!! The brush has silicone bristles hence making is so soft and skin friendly, every single day and sometimes even twice a day for me. The exfoliation is to the minimum, almost how you feel after cleansing the skin with your fingers. However, the after results are nowhere like cleaning with the fingers. The vibration technology literally gets rid of the oil, dirt, and makeup on a very deep and thorough level. How I know this? I have used it for over two weeks and every time I used Opus Express to wash my face, the oils on my t-zone started showing really late unlike washing my face without using the brush. I have very oily t-zone and oil starts to show within an hour but not after I use the Opus Express. Moreover, this brush was really gentle on my skin when I was having skin issues. It has three vibration level and I use the hardest for my face while the lightest to work around my eyes and also on my eyes and eyelids. Yes, this is that gentle! The brush runs on batteries and I like to use rechargeable batteries for mine. The brand also claims that the brush can be used in the shower, I have tried it and there wasn't any damage to the brush at all. Overall, I am absolutely in love with this both of these brushes and I am really glad I had a chance to try both. The price point is also pretty awesome for Opus Express and the sleek design and the pouch that comes with it makes it easy to travel with. I highly recommend that you try Opus Express and I know you will love it too. This is especially suitable for people with sensitive skin type and who want to use a facial cleansing brush every day because it does not exfoliate the skin. You can buy these both from physical stores and online stores. I am including all the details below! ONLINE STORES - All the link will open in new windows/tabs & they are clickable. If you have any questions and queries regarding Opus Express and Opus 2Go by Nion Beauty, feel free to leave a comment.